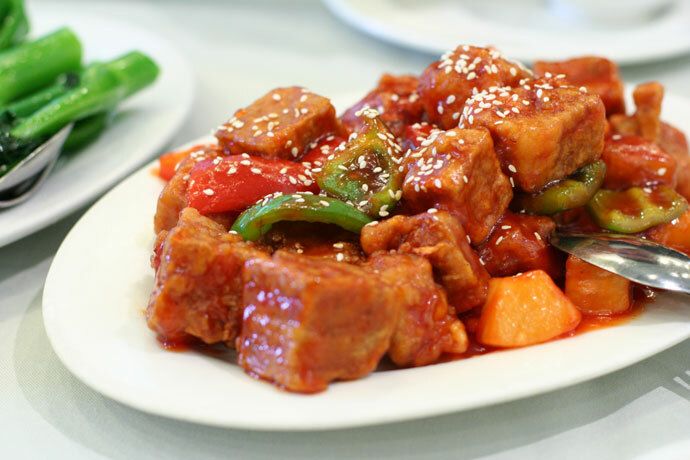 Bo Kong Vegetarian Chinese Restaurant (map, 3068 Main Street, Vancouver, BC, Canada, phone 604-876-3088) is a popular Chinese restaurant that serves tasty vegetarian cuisine. 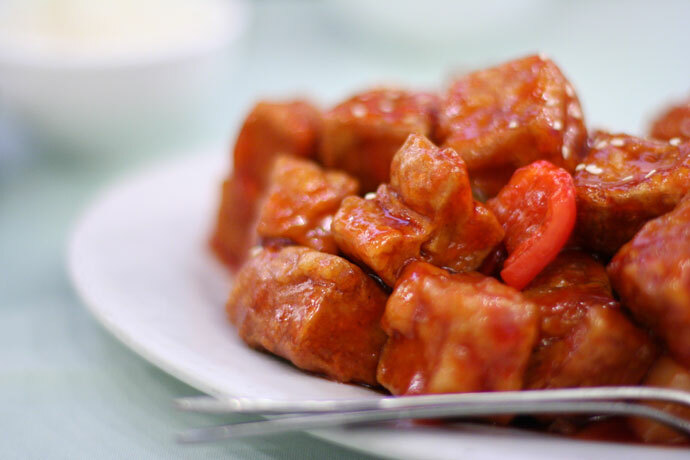 Even non-vegetarians won’t miss the meat after trying some of the traditional Buddhist dishes that are made with substitutes such as gluten or tofu. 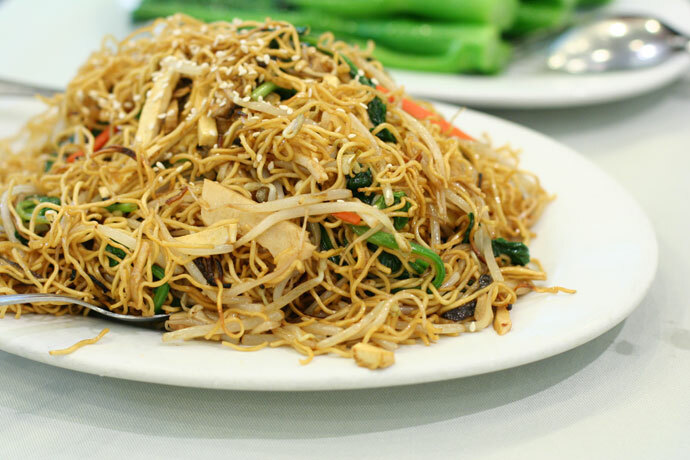 Also a good bet are the noodle, vegetable, or rice selections. 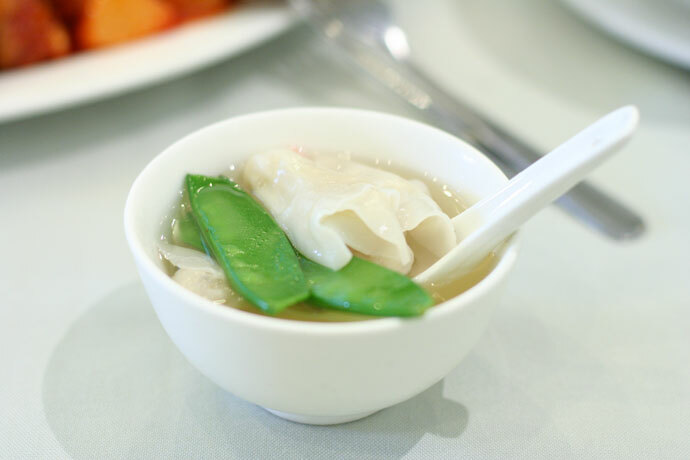 The wonton soup (pictured below) was nicely flavored and made a good start to the meal. 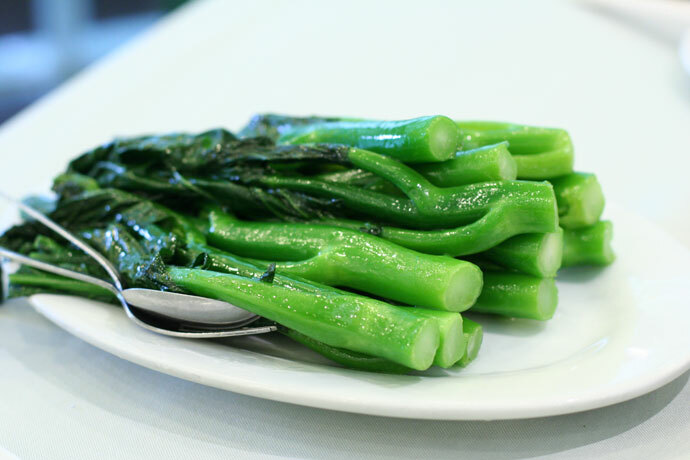 We also enjoyed the Fresh Enoki Mushroom Chow Mein noodles, the Sweet and Sour Pineapple Delight, and the Steamed Chinese Brocolli (all pictured below). The prices at Bo Kong are quite reasonable: a large meal for two people including three dishes and a soup came to about $20 per person including tax and tip. View Part 1 for more photos. 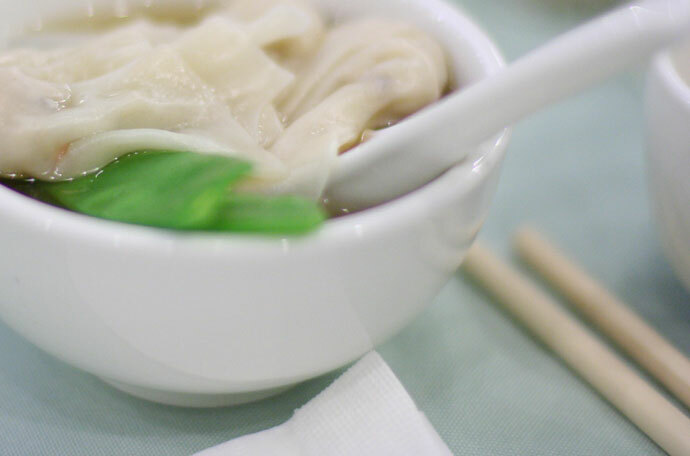 We hope you enjoy the great Buddhist restaurants on Dine Out Here Vancouver.